Making plans with anyone in your iPhone address book is finally easy. Created with busy lives in mind, Hatch lets you quickly “hatch a plan" with anyone you know, for any type of event--from the spontaneous (“Who’s wants to hit the park?”), to the organized ("Birthday Dinner - Mine, Friday"), to just getting the ball rolling (“Who’s up for drinks?”). Planning no longer feels like work. It’s fun, immediate, social and endlessly flexible. 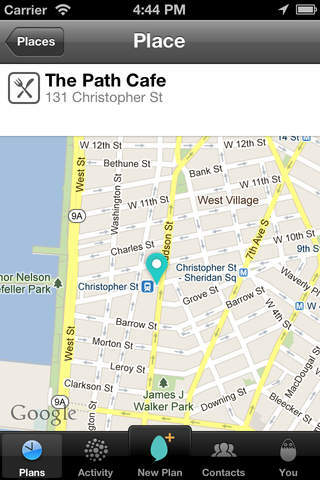 Plus, you can use Hatch with anyone--even those without the app.